Posted on Saturday, May 8th, 2010 at 10:00 am. 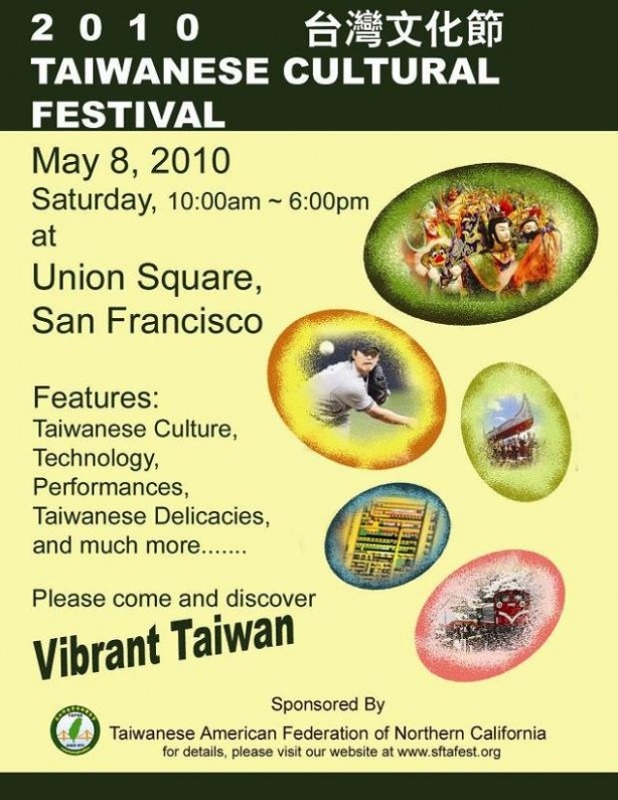 The 2010 Taiwanese American Cultural Festival (TACF), themed “Vibrant Taiwan,” will be held on Saturday, May 8, from 10am to 6pm at Union Square in San Francisco! The festival is the largest exhibition of Taiwanese culture in the Bay Area, and will include performances, displays, food, and much more. There will be countless exhibits showcasing Taiwanese culture, arts, and the latest in Taiwan technology. Booths publicizing great Taiwanese American programs and activities in the Bay Area will provide more information on how to stay involved in the community. Performances from Taiwanese American rising stars will amaze all festival participants. And best of all, we will be selling all your favorite Taiwanese food! 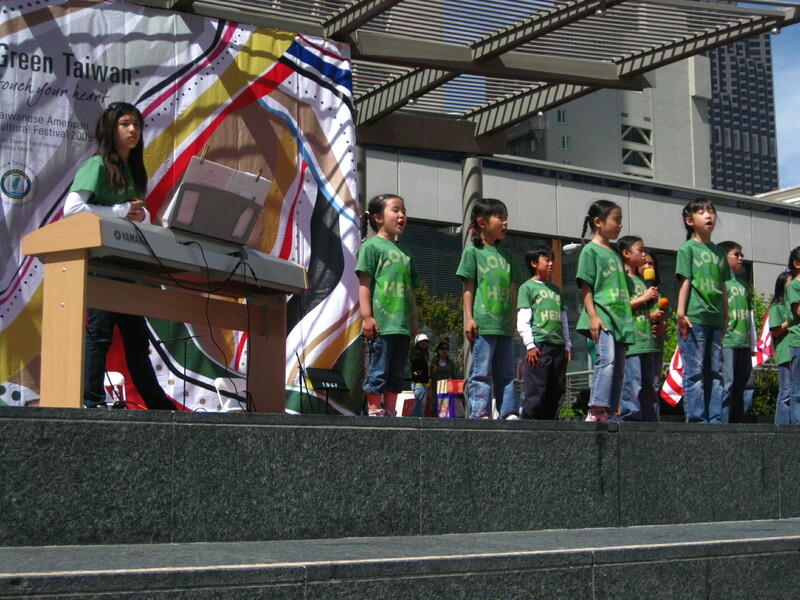 Performers include: Johnny Hi-Fi, Alice Tong, Jenton Lee, Diana Li, Stephanie Lai, Carolyn Chen, the kids of the Fremont Taiwanese School, and a special demonstration by Tyson Mao, one of the world’s top competitive Rubik’s Cube solvers. In addition to performances by local Taiwanese American musicians, bands, and rising stars, the festival will highlight special performances from the famous Department of Dance at the National Taiwan Arts University. Their dance pieces use innovative artistic choreography to express the various cultures and traditions of Taiwan, and is something you don’t want to miss! So come join us on May 8 to learn more about the Taiwanese culture, meet people from all over the Bay Area, and enjoy awesome Taiwanese food. We hope to see you there!